LINCOLN, Maine — The Town Council voted 6-0 Thursday to begin investigating whether a local paper mill site qualifies for a federal Superfund designation because of its containing toxins that will cost at least $20 million to remove. The council’s vote was meant to signal Gov. Paul LePage that the town would allow a Superfund tag to be placed on 262 acres of the 387-acre Lincoln Paper and Tissue LLC site, especially if the U.S. Environmental Protection Agency allows a less-contaminated 90-acre plot on the former mill property to be decontaminated sooner and developed industrially. As governor, LePage — no fan of the federal government — can stop the designation process, according to the town’s attorney Andy Hamilton. Hamilton described the site as the worst he’s seen in 35 years of practicing environmental law. It is the first he’s ever recommended for Superfund designation. Asbestos cleanup from the buildings alone will cost an estimated $16 million, according to studies funded by the Maine Department of Environmental Protection. Other pollutants on site, by-products of papermaking, are d ioxin/furan, metals and Polychlorinated Biphenyls, or PCBs. Asbestos was a common industrial fire insulant, while dioxin and PCBs came onto the site from pulp and papermaking processes. All are cancer-causing pollutants whose removal will put the price tag on the cleanup “well north of $20 million,” Hamilton said. Hamilton recommended that officials from East Millinocket, Lincoln and Millinocket work together to develop mutually beneficial plans for their defunct mill sites. This would help them qualify for another $250,000 in grants to develop those properties, he said. Hamilton regretted having to recommend that Lincoln pursue but not necessarily commit to a Superfund designation, but brownfield funding offered through the DEP, which also recommended pursuing Superfund monies, wouldn’t be nearly enough to cover remediation costs, Hamilton said. The federal agency could take decades to clean the site. As of Thursday, the EPA listed 1,844 Superfund sites on its website, including 16 in Maine. And Superfund sites, usually the most contaminated, carry nasty, economically damaging connotations for towns that host them, Hamilton said. “Lincoln lakes. Lincoln aquifer. Superfund site. Does anybody like the sound of those words all in the same sentence?” Hamilton asked. The property is likely to be abandoned when bankruptcy proceedings end. The paper mill filed for Chapter 11 bankruptcy protection in September 2015, eventually laying off 128 workers employed there at the time. A boiler explosion in November 2013 left the mill leaking cash by ending Lincoln Paper’s ability to make pulp and paper. Papermakers had polluted the site for more than a century. EPA officials indicated that Lincoln could get $250,000 in federal funding for studies of the contaminated lands, but town leaders would have to apply soon. President Donald Trump’s administration earlier Thursday proposed a 31 percent cut to EPA’s budget, as the White House seeks to eliminate climate change programs and trim initiatives to protect air and water quality, according to Reuters. The proposal would slash funding for enforcing regulations, fighting water pollution, cleaning up sites contaminated by toxic waste and promoting energy-efficient appliances. Hamilton said he was pretty sure that the EPA would not let the property languish. With its aquifers and water running through it to the Penobscot River — the 262 acres borders the river — the agency is concerned about the hazard the mill site represents to the river. EPA and DEP have had their eye on the property for decades. The mill site had also been almost listed as a Superfund site in the early 2000s, but Gov. 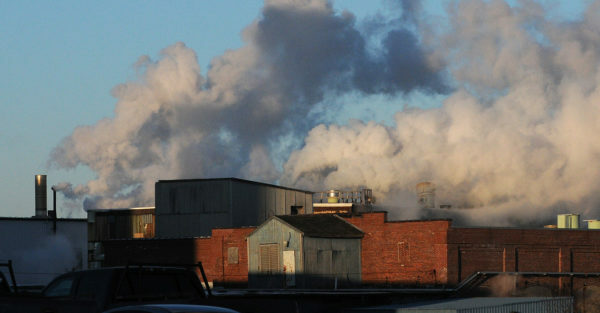 John Baldacci rejected the designation because at the time, the founders of Lincoln Paper and Tissue were about to restart the mill, Hamilton said. Investors have expressed interest in the town, but none are ready to move into the mill site, Town Manager John Sutherland said. Now that they have the council’s approval, Hamilton and town government staff will begin talks with mill-site debtors, and EPA and DEP officials about getting the property’s 90-acre parcel examined to determine its suitability for brownfield grants. Brownfield funding typically ranges from $200,000 to $1.5 million, Hamilton said — good money to save town taxpayers. Brownfield cleanups typically take far less time than Superfund sites. Then-Howland Town Manager Jane Jones began searching for Brownfield funding to clean up that town’s former tannery site in 2009. That cleanup was finished last year and the property is due for marketing this year. The 90 acres, Sutherland said, is an excellent potential industrial site with its natural gas lines, rail line and road access and three-phase power left behind by Lincoln Paper and Tissue. The EPA needed the strong signal sent by the unanimous vote — the agency is leery of starting down the long path toward cleanup without at least some local interest, Hamilton said. Councilor John Trask told Hamilton that he hoped the town, not the feds, would retain ownership of the site — presumably as an industrial park — when cleanup is complete. Councilors will still be able to stop the site from getting tagged with that designation, said Hamilton, who rejected the idea that the tag would stigmatize Lincoln.